We want to help you make an educated decision, so that you can get the most out of your hosting provider and pick the best plan for your small business. Bandwidth: Basically can be boiled down to data transfer rates - the amount of data that can be transmitted from one location to another over a period of time. 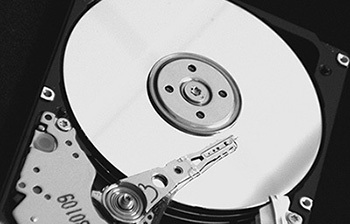 Disk Space: The amount of storage available - more disk space equals more storage capacity. Multi-Domain: Host and manage multiple domains from one hosting package - perfect for small businesses looking to expand their online presence. CMS (Content Management System): Used to manage, publish, edit, and modify content on a website - a much more intuitive system for users who aren't experienced, or don't feel comfortable with, going into the code of a page to edit content. WordPress, arguably the most popular CMS, is offered through all Webnames' hosting packages. Cloud Hosting: Hosting provided by multiple connected servers that are virtually connected, as opposed to being provided from a single server - offers improved and optimized website performance. Choosing the best web hosting plan for your small business requires some internal analysis. "Will I be hosting more than one domain?" "Will my business be delivering an e-commerce option through the website?" "Will our company be managing and storing sensitive personal information of our clients or customers?" "What kind of support does the hosting provider offer?" All of these questions, and more, call for some tough decisions - and while you can also up/down grade, or even transfer hosting services, it saves considerable time and effort to make the best choice the first time around. This section functions as a checklist, to check off, as you assess what a hosting provider has to offer for your small business. Since, you've already answered the tough internal questions, it's now time to turn your investigation outward into the wilderness to find a hosting provider that best meets the needs of your small business. Obviously, one of the most important factors when making a decision on any product or service. In regards to hosting, the old adage is true - you generally get what you pay for. It's possible to find some dirt cheap hosting options, but you must take a closer look what you're getting before jumping into the deep end. In most instances, a "too good to be true" price will quite often have your site lumped in with many other websites, causing everyone to share a limited number of resources. Another important aspect to consider is support. Support in many instances will be outsourced, and hardware will likely not be top of the line. It is very possible; however, to find affordable, yet quality web hosting. It can take a lot of data to push the storage capacity of any given hosting plan. Although, databases need to be taken into consideration since they will, in most cases, be included in this total. Some providers will let you scale up your storage if you're pushing the maximum limit. High traffic sites, or streaming services, will require a larger amount of bandwidth than the average website. If you're unsure about bandwidth and storage needs, it wouldn't hurt to look into a provider that offers you flexibility. If web applications, storage of user data, or the use of a CMS is envisioned in the future, then a database will be necessary. Note the type, size and version of available databases to ensure specifications and compatibility. Webnames.ca offers an As Much As You Need provision on all web hosting plans for bandwidth, disk space and databases. Running low on disk space? Simply send a request to our support team and, upon review, your website's disk space will be increased. Many businesses and people will likely already have email accounts. Many hosting packages come with a defined number of email accounts; depending on the size of the business, you will be able to offer employees custom branded email addresses. Make sure to take a look at the total storage per email address. Since many people will likely prefer to use an existing email address, it's important to see if email forwarding is available. Email forwarding will allow a user to receive email to their custom business address (yourname@yourdomain.ca), but still be able to access, and respond, through a pre-existing account. Many hosting providers will claim to have an on-going 99.9% uptime, which has become, more or less, a standard in the industry. If you happen to be skeptical, read around some of the fine print or the terms and conditions for hosting. Alternatively, you can also take to your favorite search engine to look up reviews of a provider's service. Location is a much more important factor than many might initially think. The location of your hosting becomes the jurisdiction for which laws your site and all of its stored data are subject to. Privacy becomes a pressing issue when considering the location a website is hosted. Canada takes a diligent stance when it comes to managing private information and data, making it an excellent location to host a website (regardless of a business's physical location). In contrast, hosting a website in the US can lead to your data being accessed or monitored without your consent or knowledge. If data physically exists in the US, then its fair game to be accessed. Data may also come under scrutiny of bills like the Patriot Act. Trying to figure out why your website, unexpectedly, went down? Do you simply have questions about your hosting plan? Being unable to contact your host's support team is frustrating. Is their telephone support outsourced? Is live chat available on the host's website? Is there an average response time for support requests? Are you able to receive service in your native language? Some hosting providers make customer support a top-priority, while others take a softer stance. Check for customer reviews before committing. Do yourself a favor, and steer yourself towards a host that offers good customer support. Running through the above checklist will mean that you've done your homework, weeded out the weaklings, and are left with the best of the best. Now that you've done your research and have all the answers, you're probably ready to choose a hosting provider. Webnames.ca is an excellent choice for any business, but offers exceptional value for small businesses. Why should you host your small business's website with Webnames.ca? All our web hosting plans are affordable, offering you the tools you need to get started quickly and easily. For as low as $37.50, our web hosting plans include a free domain name, as much bandwidth and disk space as you need for your website, multiple email accounts and free one-click apps. Unlike other companies, we don’t require a minimum commitment of one to two years to qualify for the price you pay. The number you see on the screen, is the price you pay. 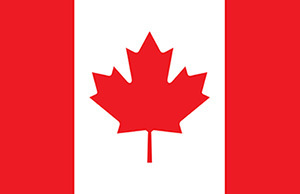 Canada has strict privacy laws that are among the world’s best. This means that that your information is not under the jurisdiction of foreign laws and is not affected by laws such as PRISM or the Patriot Act. We know that everyone needs a little help from time to time so if you need any help, don’t worry. Our professional and knowledgeable support team is available through our toll-free support number. Our support team can help you from setting up your website, activating your email accounts and helping you with our website builder, Web Presence Builder. Our average telephone response time is under a minute or less, so you can speak with experts as quickly as possible. If you prefer speaking in French, don’t worry. While we are located in Vancouver, BC, our support team is bilingual and can help you in either French or English! Included in every web hosting plan are different tools and resources you need to help your business and website as it grows. Whether you are an expert at building a website or just starting your very first website, we have tools for everyone. To make things easier, we've also included popular one-click apps like WordPress, Joomla, ZenCart, OSCommerce, Drupal and more! Your hosting package will start out with a large amount and disk space and bandwidth, but as your website grows, so will your usage of resources. To get more disk space and/or bandwidth, simply send a request to support@webnames.ca for additional space. Once approved, you will receive additional resources based on your request. Webnames.ca offers highly competitive hosting plans, capable of competing with any hosting provider. Perfect for any small, medium or large sized business; Webnames.ca has the service and support to take your business to the next level.